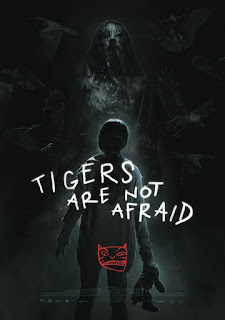 The Horror Section: Here There Be Tigers. As I stated yesterday, the programming at this year's IFFF was terrific, running the gamut of modern genre cinema. 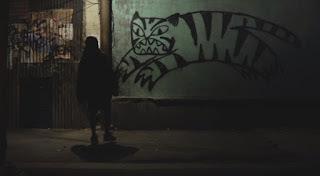 I took in some solid films last week, but Mexican director Issa López's newest effort, Tigers Are Not Afraid was the standout title. When her mother goes missing in Mexico City, Estrella (Paola Lara) falls in with a bunch of street kids headed by Shine (Juan Ramón López) and soon find themselves on the run from the local drug cartel. I hadn't even heard of this film before I opened up the IFFF programme and it took me completely by surprise. López's film reminded me a lot of Guillermo del Toro's ouevre (namely The Devil's Backbone & Pan's Labyrinth) in that it effortlessly combined elements of drama, crime, horror and fantasy. I was not expecting a film to pull me in emotionally as much as The Shape of Water did recently, but Tigers Are Not Afraid came pretty damn close. I have to say that after subsequently watching the trailer, it doesn't do the film justice. It plays up the supernatural angle, when that doesn't really factor in until well into the film. Leading up to that, I felt I was watching something more akin to 2002's City of God. However, it was the whimsical flourishes, like the animated graffiti and references to fairy tales that really lulled me into a false sense of security. 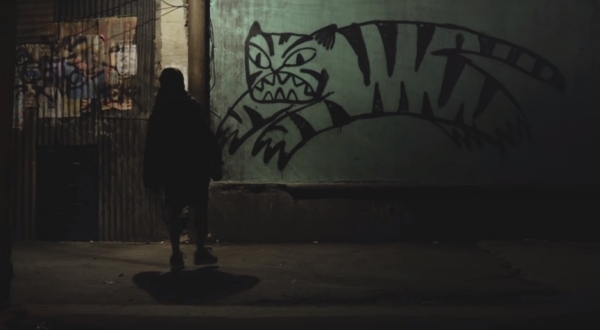 Tigers Are Not Afraid was layered and almost poetic in its exhibition of the ugliness (and beauty) of life on the streets of Mexico City. López was already an accomplished writer and fairly well known in her native country, but her previous work has been fairly conventional so I'm hoping that the tremendous versatility shown here will launch her career even further. I cannot, however, heap all the praise onto López because the entire cast of child actors were phenomenal. Considering the subject matter, it was quite remarkable López was able to find two leads in Paola Lara & Juan Ramón López that were able to so naturally pull off such demanding roles. Paola Lara & Juan Ramón López in Tigers Are Not Afraid. Tigers Are Not Afraid is a wonderful achievement and should be sought out immediately. This was exactly the kind of genre filmmaking that will make even the most jaded remember why they watch films in the first place. I really can't overstate how well all the bits & pieces meshed together. López has already enjoyed a long and prosperous career in the film industry, but I think she's poised to explode if she's got a few more like this in her.